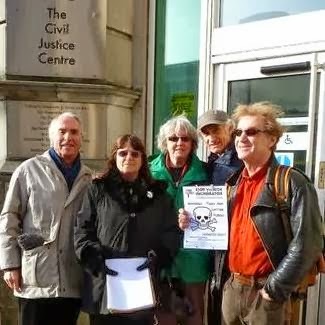 CATI are disappointed that judge Wyn Williams has turned down the application in Pauline Ellaway's name to quash the planning permission granted by Cardiff in February 2013. Important points are overlooked in the judgement. Pauline said she'd rather expected a negative judgement from the judge's questioning at the hearing in Cardiff High Court on 17-18 December, adding that she'd preferred the specialist judge who had been first nominated to hear the case. The lawyers - Alex Goodman plus Richard Buxton Environmental and Public Law firm - advise that the case should be appealed and are putting in an urgent request for continuing funding for the Appeal Court stage. That companies could build without planning permission and the public authorities could delay any action to stop the unlawful construction for over six months would be a big hole in planning law if allowed to stand. The Viridor application has higher status as “EIA-development” and is subject to European planning law. Breaching this law means the case could proceed to European level. Granting retrospective permission for much lesser EIA-works, without securing evidence on those works, was quashed recently (HHJ Mackie QC on Padden, 22 Jan’2014) by a High Court judge in England. 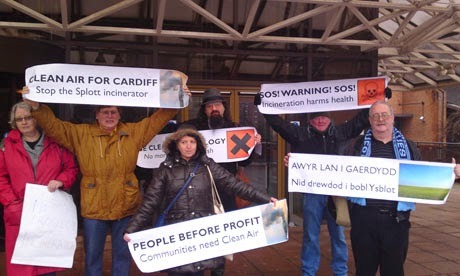 After this start in the Cardiff High Court, CATI are hopeful the case will be won at the next stage. Great Post, I read it well. very useful info Thank you so much for sharing this one really well defined all peaceful information.. Different Case issues.Have to be sort out in a factual way.